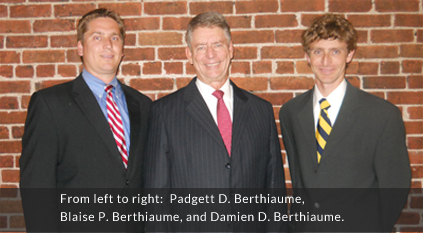 Berthiaume & Berthiaume is the successor firm to Igoe and Beaudette, a law firm started in North Brookfield and providing expert legal service in the community since 1934. The practice has grown and expanded and now serves clients with a diverse range of legal needs within Worcester, Hampshire, and Hampden counties. The general law practice can meet all of the legal needs within the community, including estate planning and elder law, probate and estate administration, residential and commercial real estate, business and corporate law, family law, zoning, land use and landlord/tenant representation. We also provide criminal defense in the District and Juvenile Courts and civil litigation representation in all Trial Courts. Berthiaume & Berthiaume is committed to providing responsive, client-focused, results-oriented representation at a reasonable cost.